VHR is an international technical recruitment organisation providing solutions to the Aerospace & Aviation, F1 & Automotive, Engineering & Defence and Marine industries around the world. Created in 2003 by technical engineers and experienced recruiters, VHR delivers a partner-orientated approach. We are passionate about the industries where we operate, the career-enhancing support we provide and the people with whom we work. We are passionate about the industries in which we operate, the life-changing support we provide and the people with whom we work. Whether one permanent vacancy or a team of contract specialists, VHR strives to deliver the best possible staffing solutions. Rather than simply filling every role as quickly as possible, we meet with each client and discuss their needs to ensure that we deliver optimum results. We operate transparent processes and practice close communication at all times, which includes coaching our candidates for interviews and presenting honest feedback to each client. Trust is integral to recruitment: we act as the catalyst to change candidates’ lives and deliver business-critical projects. Our consultative approach means not only sourcing the best talent for an engineering vacancy, but developing skilled candidates and implementing long-term staffing strategies. Because the right people are crucial to the success of every business, we start each search fresh. We strive to match the right person to the right role, every time. We don't cut corners and we don't believe in quick-fixes. Our track record of delivering high quality candidates against strict time scales evidences that we do whatever it takes to supply the best on-time solutions. VHR’s industry specialists consistently share their knowledge to maintain an excellent service standard. Across Sales, Marketing, Finance and HR, every member of VHR’s team is vital to providing the best possible services. 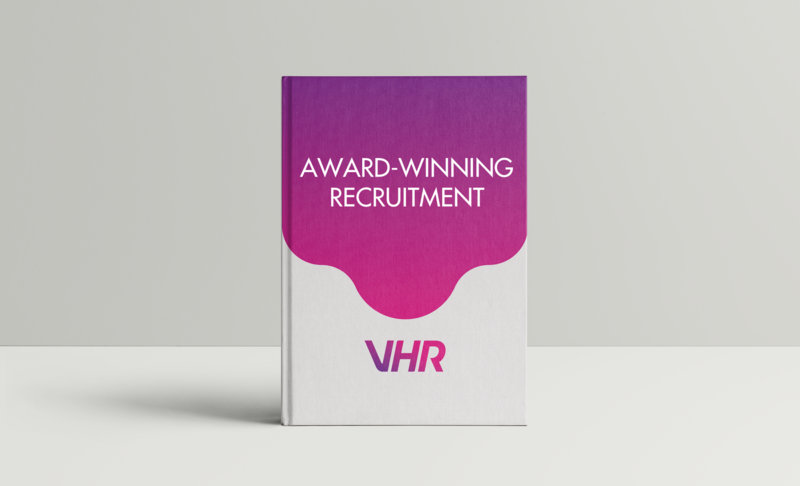 Created in 2003 by former technical engineers and experienced recruitment consultants, VHR delivers a partner-orientated and consultative approach to technical recruitment. Our team is led by former industry practitioners, including a Formula 2 racing driver, America’s Cup sailor and British Airways Engineer. VHR’s industry experts truly understand the markets we work within and the needs of businesses and candidates. Where talent is required, VHR scours the globe to find and deliver it. We act as an extension of our clients’ HR departments to deliver end-to-end recruitment services, from sourcing and onboarding to work permits, logistics and in-work management. Our Candidate Care Programme includes finding accommodation, conducting regular welfare checks and supporting with everything from interview preparation to long-term career plans. In addition to providing the best client services, VHR strives to improve the working lives of our contractors. We are prominent supporters of ethical recruitment. Our services are built on the Dhaka Principles to provide all candidates with high quality accommodation, protection from modern slavery and mistreatment, and working relationships built on communication and respect. VHR received the Queen’s Award for Enterprise: International Trade, were named Best Contractor Recruitment Company of the Year by REC and won 15 industry awards in 2018. See all VHR’s Awards. Incorporated in the UAE as an On-Demand Labour Supply company, VHR can provide unlimited residence visa sponsorship for permanent and contract workers. Staffing licenses for a variety of countries enable us to quickly recruit skilled talent from anywhere in the world. We recruited 260 contract staff over 9 months for a world-leading airline, delivering 200% recruitment savings for our client..
We provided 325 technicians to deliver an unprecedented expansion project for a global Automotive brand. The Situation A global. Want to know more about our award-winning recruitment services?